#Wardita – Kopfüber, Tonleiter Rec. The main groove or rythm in her sets is kind of tribal, deep, hypnotic techno from which she is starting from or the journey is leading to. Listening to Warditas sets means traveling. Riding on the notes bringing you through the freaky world of electronic fusion techno music. 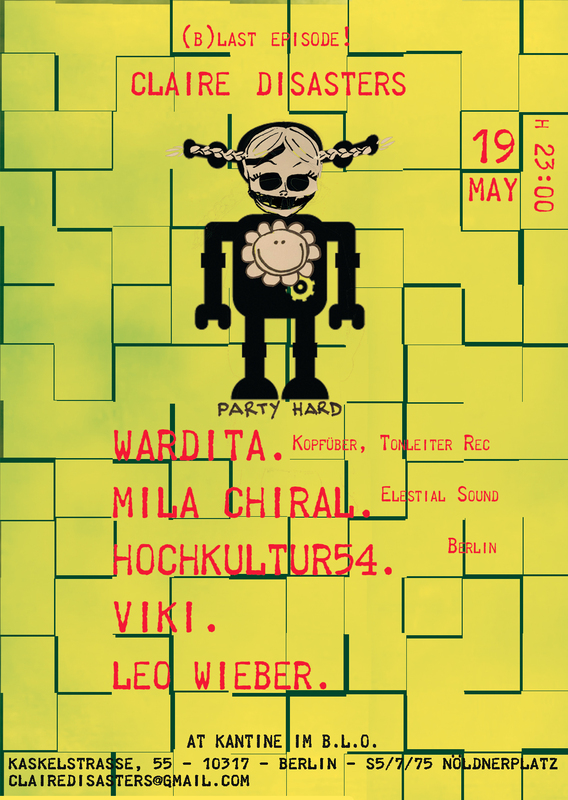 Wardita sends you to a journey of high level bass music reflecting her background and personality. Many of you might know and love already Hochkultur54 as he is travelling since a long time through the electronic music-world. After a lot of different stations in the diverse genres it seems he finally reached the long searched target. Hochkultur54 now became a synonyme for Psychedelic Techno.